What external things are you giving your power (over your own nervous system) to? What are you giving your power away to? Ultimately, most mental stress is caused by giving power to something outside of you (that is not you...) over YOU (and your nervous system). In nearly all cases the stress is caused by fear. Nearly all of the time, the issue itself is not "real", in the strictest sense of it's ability to "make" you feel stress. However, the reaction in your nervous system that is caused by a mental attachment to the issue IS certainly real. The resulting stress IS absolutely real. Looking back, I can see many of the things that I used to unconsciously give control of my nervous system to, and by default also my overall sense of well being. Many of these things I reflexively and unconsciously gave my control and power over to..although I didn't realize that I had a choice. 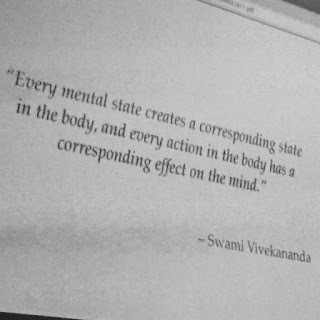 Many of those mental transactions occurred on a completely subconscious level. In the current political season we can look and see that what fear mongering politicians are really asking for is control of our nervous system. On the one hand they sell fear.. fear of the other guy, fear of various enemies, fear of finances..deficits..losing personal freedoms.. etc etc.. this fear causes stress inside your body. The stress builds within, and of course you want it to go away.. On the other hand, they promise that when they are in control all of that stress (that they partially helped to create) will all go away. Of course, they don't have absolute control over most of those circumstances that they offer to control for you anyway, and so it is all a bit of a con. We are sold on the unspoken idea that there will be some relief when we finally put them in power. What we are really doing though, unconsciously, is giving them control over our own sense of well being. (This is also one of the hallmarks of an abusive relationship) The most important leader in your life of course, always has been and always will be, you. With money it is the same. Most of us have been raised with it having been deeply ingrained in our psyche that money will bring us happiness, and is partially responsible for our sense of well being. While we all have bills to pay, and money may also bring some temporary pleasures, ultimately the pleasure (or stress) that is attributed to the money, is all created and felt within your own nervous system. The real truth is that the money didn't make you feel anything, YOU DID. Your body did. You can be a billionaire and be miserable, you can also have no money and feel euphorically joyous.. The money in neither case has any direct affect on your nervous system...none, zero, zip.. and it never will.. ever. There are many many stories of people who "got it all" only to later become miserable. Why is this? I think it is because the satisfaction of getting something externally is only temporary...the realization that the external cannot satisfy the internal is always going to be close behind. Going after external happiness is just a trick we play on our own nervous system. The chief deceiver in this game is the Ego. It is an author of confusion and stress. Your True Self, or authentic Self, understands that "letting go" of this attachment and expectation of external circumstances, and material things is also the path to allowing our own body to do what it was designed to do... to release stress, to relax, to be at ease, and to flow in bliss. In another scenario, maybe it's a relationship that's causing you stress? Isn't forgiveness about letting go of that stress (that is self imposed) and returning to a sense of balance and peace in the physical (and mental) system? In the end, the stress, was caused by a giving up of control of the nervous system to that person or issue. In truth, no one can "get on your nerves" or "make you" feel bad. You are in control of your own nerves. You are just subconsciously being triggered by the other person, or giving them the power to trigger your own issues. Sometimes we are even unconsciously attached to an outcome that might be perceived as "good", but it is actually causing stress. For instance you may want to achieve some admirable goal that no one would possibly say is "bad". Yet, if that goal and it's pursuit (and attachment to the outcome) is causing stress and suffering within your body, is it really worth it? Looking back before I had a concept of these ideas, I can see that I had become disconnected from the basic awareness of what was "real" and what was not (in terms of what was directly affecting my nervous system). This is by definition a state of delusion, and yet isn't this the state of being that many people seem to make their default mode of being? Isn't this state of attachment to the external also what a materialistic society encourages, and continually sells the "solution" to? Ignorance of this whole process (and the resulting stress and fear) is the only enemy... and yet to make the fear an enemy is to invite more fear itself (and stress). The only way to "win" is to realize that there is no enemy. (after all, Love always wins.) Developing this awareness IS the path to peace. To be "enlightened" literally means to be lighter…right? In other words, to release the burdens of mental stress... to "let go". So, why do people hold onto mental stress? I think, if they are like I was, it's because probably because somewhere in their mind they think it will help them solve the problem that the stresses are about… Somewhere in the mind, unconsciously, we believe the stress will save us, and that it is our responsibility to hold onto the stresses (and issues) in order to save ourselves from destruction. In fact, the opposite is true. "Looking inward" is a way of always being aware of our body's reactions to our own mental states, and then looking deeply into those mental states to understand the core of our reaction. Ultimately, this is the path of knowing our Self. Choosing Love, and not fear.. you always have choice to abide in the Presence. The Presence, is in the "present moment" the place of peace and shelter from the stress of the always active mind. We all have access to this place of peace. For me, my path has been to learn "how" to focus my own consciousness into this place. When I am focused here, I can clearly notice the resulting shift in my body and mind. In my view, pointing us to this place "within" is also the goal of "spiritual" teaching. Here's an exercise: start to notice.. notice the fears.. notice your thoughts and when they cause stress. which thoughts are their origin? Are there some you are unwilling to let go of? thoughts of ambition, grandiosity, or defending a sense of self? Can you let these go? can you let go of "beliefs" that cause stress? Conversely, notice the stress. Notice physical tension. Do you know what's causing it? Maybe..maybe not. Ask yourself what may be causing this tension? If you don't know perhaps just focus on practices to help the body relax. The answer to what is causing the tension will probably eventually rise. The fundamental paradigm shift is to start looking inside at your own physical reactions to perceived stresses, and then let go of the behavior patterns and perceptions that are leading to the creation of stress in your body. Holding on to these patterns and perceptions is not in your best interest. For me, this is what it means to look within for the source of your happiness. The power is always with you. The barrier is simply "awareness". The mental noise of the "monkey mind" has blocked the ability to accurately perceive this "inward awareness", and so the body experiences ongoing stress. The good news is the awareness can be cultivated with practice. Earlier I did a blog post about the producer and the experiencer of stress. This is a bit of reprise on that theme. 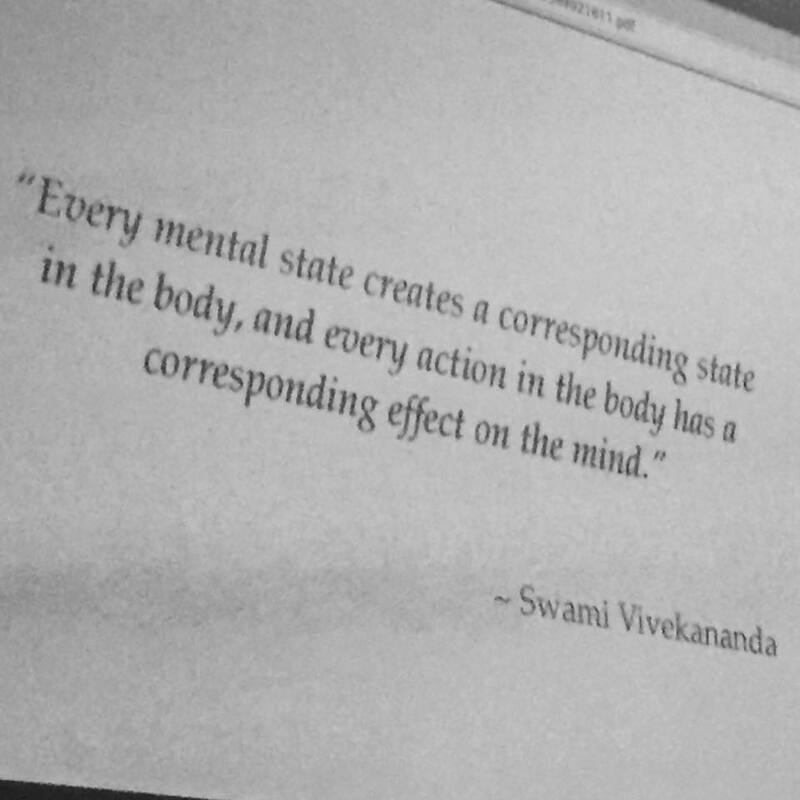 I think it bears repeating and looking at from various angles though because it is ultimately one of the fundamental issues..if not THE fundamental of our mind-body awareness.